The Houston Health Department has informed University of Houston and UH Student Health Center leadership that an individual on this campus is being treated for active tuberculosis (TB). TB is a disease that spreads through the air by a person with active TB disease. The bacteria that cause TB are generally only transmitted to people who have prolonged close contact with someone with infectious tuberculosis. Casual contact is generally not sufficient for transmission of the TB bacteria. At this time, nobody else on this campus has developed symptoms of TB. The University is working closely with the Houston Health Department to identify any student, faculty or staff member who should be tested for TB infection. The Houston Health Department determines who needs testing based on the type of exposure a student or employee has had to the sick individual. If you are identified as someone who needs to be tested, a separate letter will be sent to you with the date, time and location for testing. Houston Health Department officials will be on campus on Monday, April 29 from 10 a.m. – 11 a.m. in the Multipurpose Room West - Student Center South, and Tuesday, April 30, 11 a.m. – noon, in the Multipurpose Room West - Student Center South, to give a presentation for faculty, students and staff about tuberculosis and to answer any questions you might have. For a list of UH Health resources and answers to frequently asked questions about this case, visit this site. For more information about TB, visit the Centers for Disease Control and Prevention or Texas Department of State Health Services. Please be assured that we are taking this situation seriously, with your wellbeing in mind. Specific questions and concerns should be directed to the Houston Health Department at 832-393-5169 (Option) or 832-393-4799. On Friday, April 26, from 10 a.m. to 2 p.m. the University of Houston Police Department and Campus Pharmacy to will be hosting a Drug Take Back Day in partnership with the U.S. Drug Enforcement Administration. This initiative addresses a vital public safety and public health issue and is an opportunity to dispose of potentially dangerous expired, unused, and unwanted prescription drugs. Bring your pills for disposal to 4455 University Dr., Student Center South, we will be in the circle drive out front. We cannot accept liquids or needles or sharps, only pills or patches. The service is free and anonymous with no questions asked. For more information about the disposal of prescription drugs or about the Take Back Day event, go to www.DEATakeBack.com or visit the UH Campus Pharmacy webpage at www.uh.edu/healthcenter/services/pharmacy. Our thanks to Hallie Vanderhider, this year’s Houston Chair of the American Heart Association Go Red For Women Campaign, for generously providing our campus with a brand new higi™ station. All UH students, staff, and faculty now have free and convenient access to this machine which tracks blood pressure, pulse, weight, and BMI. The University of Houston is the first college campus to have one! 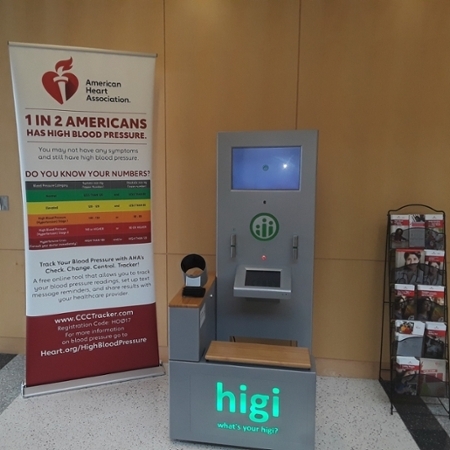 The higi™ station is located near the UH Student Health Center and Campus Pharmacy at the Wheeler Street entrance of the Health 2 Building. Come check it out and see just how easy it is to measure numbers that are important to your health. The Student Health Center recognizes the Food and Drug Administration (FDA) has recently expanded its approval for the Gardasil 9 HPV Vaccine up for males and females up to 45 years of age. The Center for Disease Control and Prevention’s Advisory Committee on Immunizations Practices (ACIP) should be reviewing the expanded age range and determine if the changes will be included in the 2019 immunization schedule. The Student Health Center follows the ACIP approved immunization schedule which DOES NOT include the expanded age range at this time. The Student Health Insurance Plan and most other insurance companies will not currently accept claims for this vaccine administered to the expanded age range. A patient web portal available to all UH students. The Health Center General Medicine Clinic offers services at affordable cost to currently enrolled students, faculty and staff. At our clinic you will be cared for by board certified physicians who are assisted by nurse practitioners, registered nurses, licensed vocational nurses, and certified medical assistants. Services include treatment for both short-term and long-term medical problems and injuries. The Men’s Clinic provides health care education and services that encourage men of all ages and ethnicities to implement positive lifestyles for themselves and their loved ones. We offer a full range of testing and treatment for sexually transmitted infections and general health screenings. Our orthopedic specialist is available to diagnose and treat musculoskeletal conditions. This includes sports injuries and diseases of the bone and muscle. Referral for physical therapy may be obtained through this clinic. The UH Health Center Psychiatry Clinic maintains a reputation for distinction in helping students cope successfully with challenges and stresses of everyday life to mental health as students work toward their academic goal. The Women’s Clinic provides well woman exams. Additionally, gynecological complaints are evaluated, and both contraception and STD evaluations and treatments are available. The clinic is staffed by a nurse practitioner and a physician with specific training in women’s health. Referral to specialists may be obtained through the clinic. Sickness is expensive in terms of time and money. The University strongly encourages all students to carry health insurance. 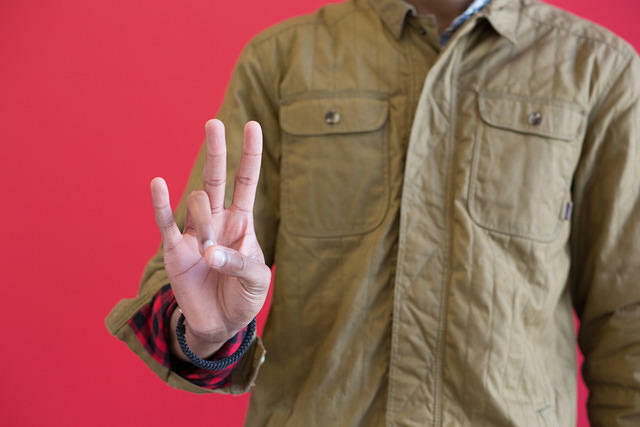 The student health insurance plan is endorsed by and designed especially for the University of Houston. The University of Houston Health Center accepts only the University endorsed Student Health Insurance Plan. For services rendered at the University Health Center, you are responsible only for payment of any applicable co-pays and ineligible expenses for services rendered at the Health Center. The University Health Center will bill the insurance company for any eligible expenses. Services obtained outside the Health Center are subject to deductibles and co-insurance requirements for eligible expenses, and all other policy provisions/limitations.